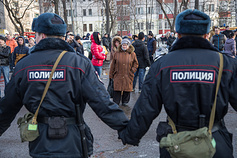 MOSCOW, March 11 /TASS/. 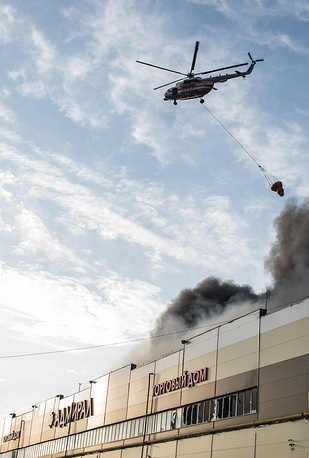 One person died and 30 were injured in a huge fire that erupted at the Admiral trade center in Kazan, the capital of Tatarstan, earlier on Wednesday. The fire started on the first floor of the three-storied trade centre at around 13:00 Moscow time (10:00 GMT) covering an area of about 4,000 square meters. The fire was given the fourth degree of complexity out of the five possible. A fire train and a helicopter have been mobilized to fight the flames. Andrey Rodygin, the press service chief of Tatarstan’s Ministry for Emergency Situations, said the fire crews had managed to localize the fire by now. He said that the first crews had been sent to rescue people who could be trapped under the rubble. 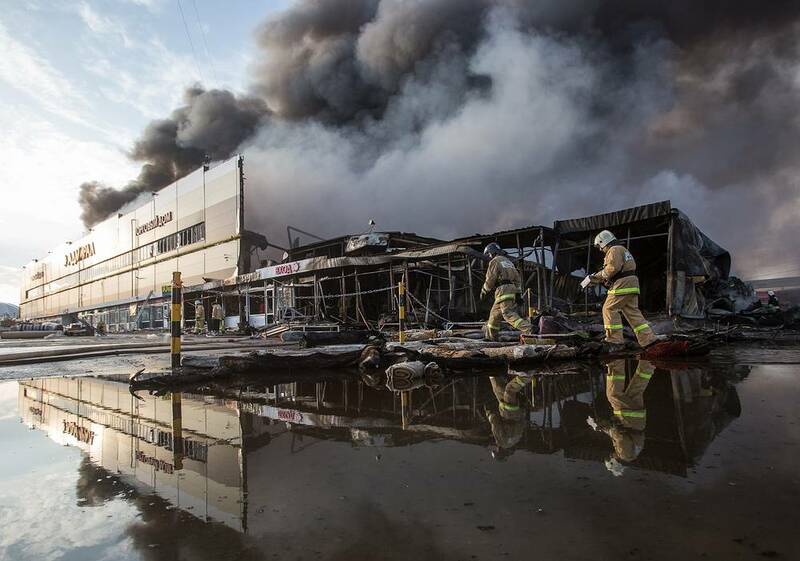 "Most likely, they are businessmen who broke the police cordon and rushed into the building in panic in a bid to save their goods from fire. After that, the building collapsed," Rodin told the Russia 24 TV news channel on Wednesday. A cordon of about 500 policemen had to seal off the trade center because the vendors who ignored the fire hazard kept trying to get into the burning building. "Special riot police units have been mobilized to guard law and order because the owners of the goods keep trying to penetrate into the building," Maxim Kostromin, the deputy press service chief of Tatarstan’s Interior Ministry, told TASS. 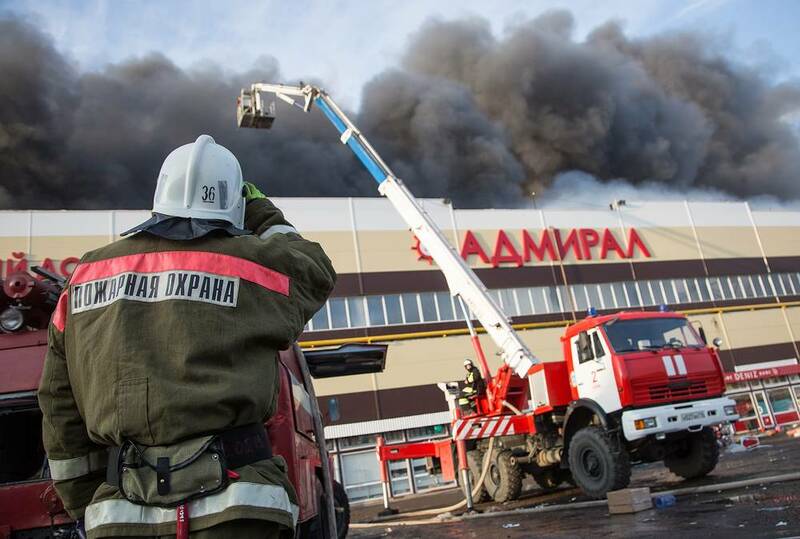 Kazan law enforcers, meanwhile, told TASS that the number of people hurt in the Kazan trade center fire had exceeded 30. "Nineteen people have been taken to hospital. Another 14 have turned to doctors for help," the law enforcement source said adding that one person had died and another one was lying under the rubble. His fate is unknown, the policeman said.